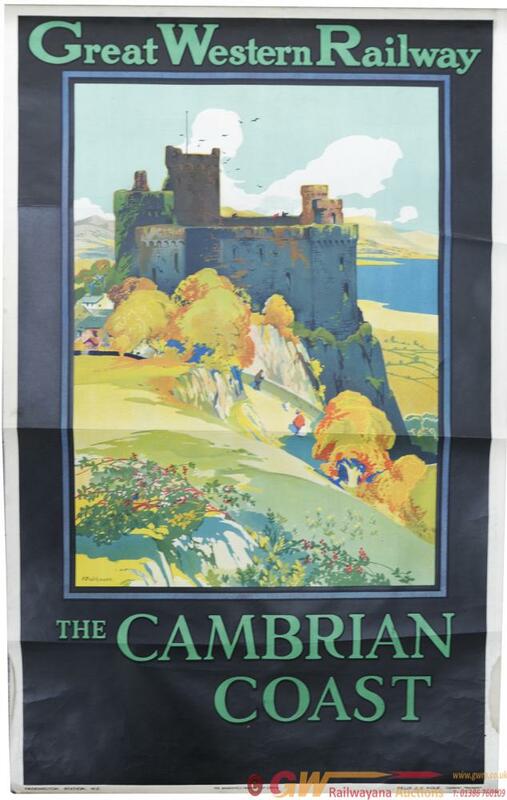 GWR Poster, The Cambrian Coast, by H R Wilkinson, D/R size. Beautiful image of Castle overlooking a large lake with small hamlet in the foreground. Felix J C Pole General Manager, Paddington Station W2 printed by The Dangerfield Printing Co. Loss to border only bottom right side otherwise very good with folds.